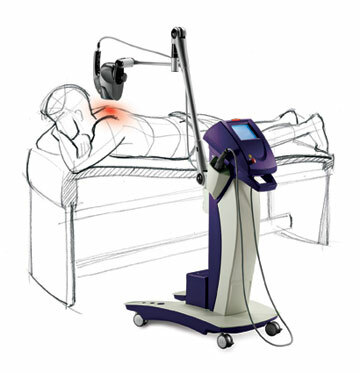 Class IV Laser Therapy is now available at Central Chiropractic & Rehab! My new "Cutting Edge Laser" Therapy Machine has come to my office. 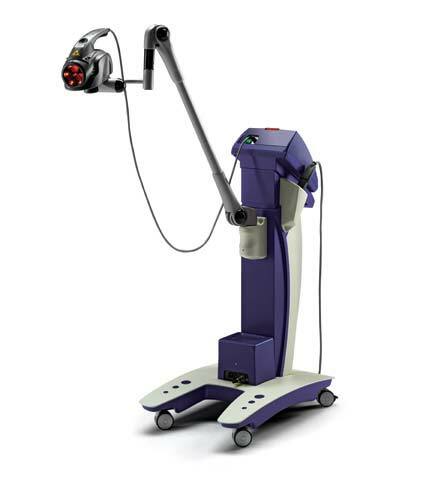 Laser is the latest technology for patient care in the United States . By no means is it "experimental" therapy as Laser has proven itself successfully in Europe for over 30 years. This specific laser that I have was FDA approved in 2002. No other laser on the market can come close to being as effective as this one. 70-80% of the patients seen positive results after 1-2 treatments. The swelling is greatly reduced and there is rapid relief of pain. Chronic conditions can be controlled with regular treatments. Acute conditions subside quickly. For most conditions that we help you with, a series of 6 treatments are recommended. We schedule them with no more than 1-2 days in between as the effects of the laser are cumulative. You feel better with each successive treatment. Once the 6 are finished, you may choose to have treatments monthly or every two months depending on how good you feel. For any of my current, existing patients, I provide the first treatment to you complimentary. I want you to see the benefits and abilities of this laser for yourself. The series of 6 treatments costs $240.00. Although we do not recommend single visits, sometimes they are necessary and will cost $40.00. Insurance does not cover the cost of these visits but that is in the works. Your flexible spending or health savings accounts will cover the laser treatments and I will furnish you a receipt. Yes. No matter if you are currently my patient or not, I obtained this technology to help people with painful conditions or situations. You are welcome to come for laser treatments only. Some of you reading this would never consider going to the Chiropractor in the first place. If you, your family or friends are interested in the laser, just give us a call to schedule. You will be surprised at how much the laser can help you. You can call to schedule an appointment where I will need to do an initial exam to find out about your specific health condition and find out how laser therapy can help you. I can explain what is happening with your body, your condition and outline your treatment plan. I will then perform your first laser treatment that day. Expect to spend 30 minutes on your first visit, then 15 minutes for visits after that. Payment of your entire 6 laser sessions will be expected at the completion of the first visit. Even though health insurances do not pay for the laser treatments, your insurance may pay for your examination in my office. My staff will check your health benefits for you. Your health savings account of flexible spending can also be used to pay for your treatments. Dr. John Bugarin, Jr., D.C.